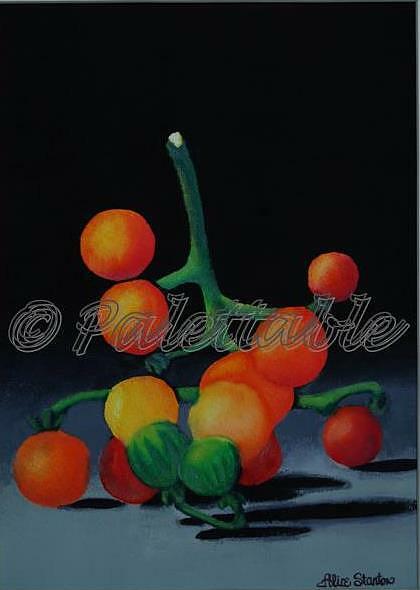 Cherry Tomatoes is a painting by Alice Stanton which was uploaded on January 15th, 2010. A LOVELY COMPOSITION AND GREAT DETAIL IN YOUR PAINTING!! AMAZING PIECE!! beautifull wor. nice to see more of your work. What a lovely work of art you have done here Alice.